At Sun City Gardens there are no buy-in fees incurred by residents. Residential Living – Pricing varies depending on the size of the apartment. Rent includes all utilities and basic cable (telephone is not included). Assisted Living – Fees include base rent. Care and medication fees will be assessed prior to moving in during a move in assessment and are subject to change as the resident’s needs change. 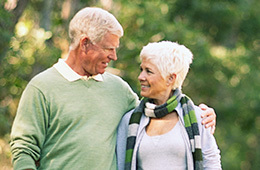 Memory Care – All-inclusive fee includes rent, care, and medication assistance. Sun City Gardens will assist you with the process of reimbursement from Long-Term Care Insurance providers, if you have a policy that covers assisted living or memory care services. Sun City Gardens also has resources available to assist in processing VA Aide and Attendance benefits. Please speak to our Marketing Department for more information.